Genesis Dark Castle (USA) in 00:56.37 by Aqfaq & Stanski. 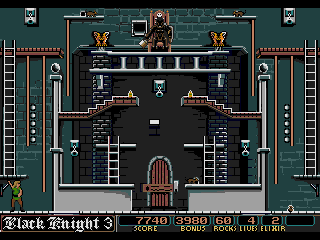 Dark Castle looks like a Genesis version of Donkey Kong. This new movie is eleven frames faster than the previous version by Aqfaq and Stanski.